If you are in the mood to spend some money but simply do not want to pay the full asking price for the technology-based products that you are purchasing, then we definitely have the right collection of deals for you. 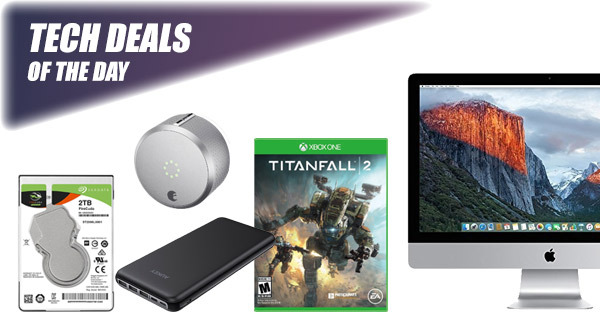 As always, our deals are an opportunity to peruse some wonderful hardware with even better prices attached to them. Check out the deals. Find something that you like. And remember, act quickly while you still can. 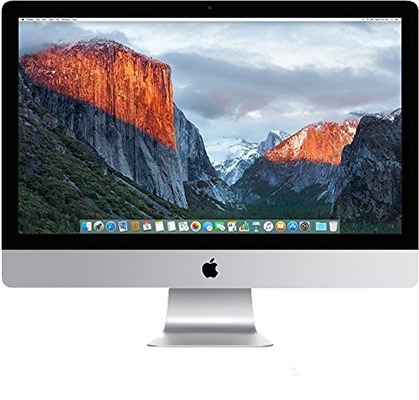 Starting off, we are looking at the 21.5-inch 4K iMac coming in with a $400 discount, meaning you can grab it for just $900. 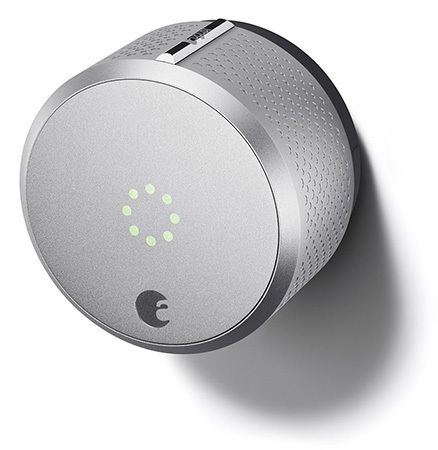 The 2nd gen. HomeKit-compatible August Smart Lock is available for a very cheap and discounted price of $115. 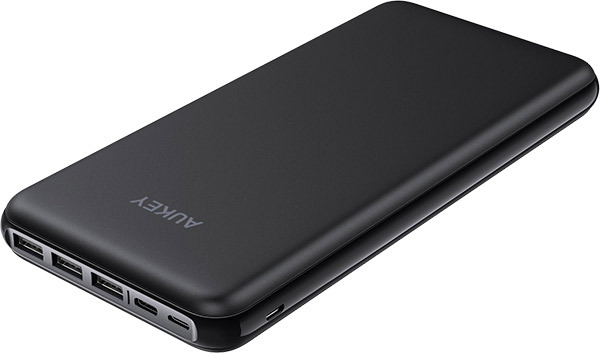 We also have a 26,500mAh portable battery power bank for just $40. 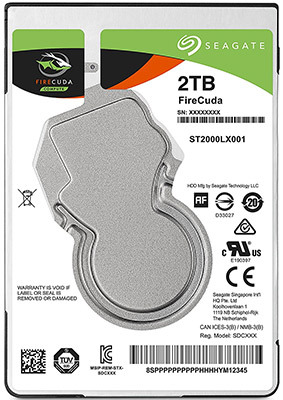 There’s also a high-speed 2TB HDD from Seagate, as well as the Titanfall 2 game for the PS4 and Xbox One for just $10. There’s a lot more where that came from, so head on over to the deals below, but make sure you act quickly before the offer expires or stock runs out. Enjoy the savings! This is a 21.5-inch Apple iMac with a beautiful 4K display. Yes, that alone should make you want to make an investment in order to have this stunning device sitting on your desk at home or work. It comes with El Capitan installed, offers a quad-core 3.1GHz processor, 8GB RAM, and a 1TB bundle of storage. August was one of the first companies to produce a smart lock, which is why you know you can trust them with the contents of your property. This is the second-generation model and it’s still as beautiful as the original with its gorgeous exterior. It even offers Alexa compatibility for voice control, as well as Siri support via HomeKit. It is probably fair to suggest that anyone who classes themselves as a medium to heavy smartphone or tablet user should have one of these portable power banks in their arsenal. It’s literally as simple as connecting this to your device and sitting back as power is pumped into your phone or tablet right before your very eyes. Use the following promo code at check out to grab the power bank for as little as $39.99: AUKEYP15. This is being billed as the “fastest” 2.5-inch PC computer and gaming hard drive on the market. It’s also pretty low profile at just 7mm. This particular option is for the 2TB variant, which is more than enough for any machine, or game console. 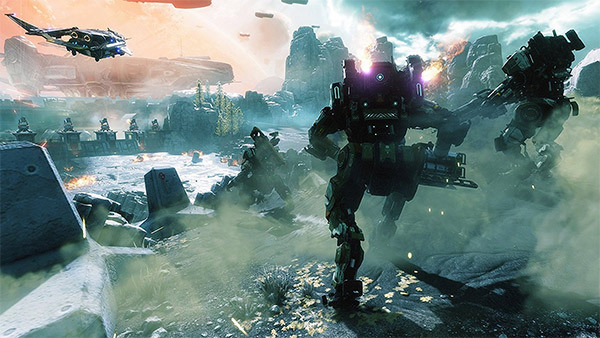 If you are action some advanced, action-packed gameplay on your PlayStation 4 or Xbox One which will kill some precious hours of downtime, then look no further than Titanfall 2 for the paltry sum of $10.00. It comes with a captivating single-player mode and a multiplayer experience which goes above and beyond.